The etymology of the name it means “Mara + Murus” which it means a region crossed by the river Mara and surrounded by murus, it mean walls. 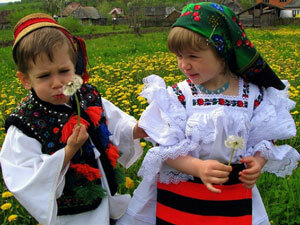 It is the Romanian region known for the fact, that here, the ancient traditions of the Romanians are preserved very well. 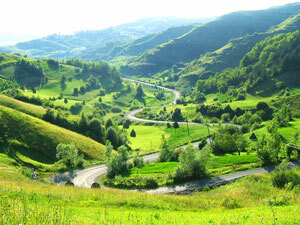 Is a beautiful region too with green fields and hills, with clear waters and hard worker people. 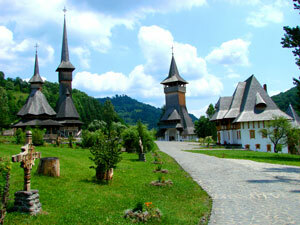 For the Romanians when you say Maramures, they will say, “horinca” or “wooden churches”, traditions, of Stefan Hrusca ( a famous carols singer from that area) To arrive in Maramures you should cross the northern Carpathians. You have some passes for this: Gutai to the west, Neteda near it, then, Prislop to the east and Dealul Stefanitei to the south. 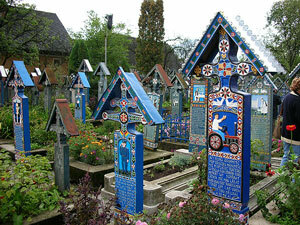 Here the Romanians existed since the beginning like everywhere in Romania. They worked and when the invaders were to many and the oppression to difficult they continue to resists and some of them, crossed the Carpathians to the east, to foundate the other Romanian medieval state , Moldova. Because of their religion, unaccepted by the occupants like the Austrians for exemple, they were forced to built only wooden churches because those ones could be destroyed very easy by fire. 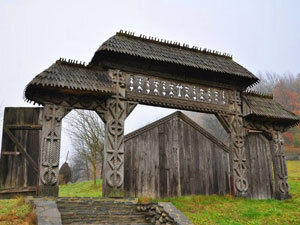 In this way, were developed a local technic to work in wood from where appeared those beautiful wooden churches since the XVIII-een century and thos gates incrusted wilth protective symbols which make today the highlight of a visit in Maramures. The decoration from the gates consists in cercles, ropes, the tree of life, squares, crosses, rusters, oxes, stars, sun, moon, people, stags every one with its semnification and mixed together with even more powerfull role of defence of the house and family by evil spirits. The clothes of the people are the same as 2000 years ago. Their carols use the same words and the plays occasioned by the Christmas or Easter are not changed a bit. 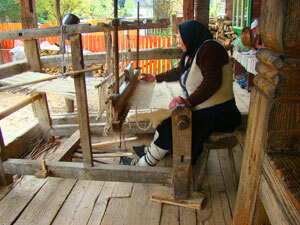 The people still work their clothes in their houses from hemp using the weaver, or the needle bordering their clothes which are so beautifull that every Sunday morning in this region, the people are going to the church dressed in their traditional clothes. It is like a turn back in time to be their in those moment and to see them or to stay for 15 minutes to the religious service inside of the church where, unique in Romania, the icons are bordered by white large towels special worked for this occasion. If I start to speak here about horinca which is a local brandy with 50 degrees of alcohol drinked usually before the lunch or dinner , I will told you about the food and then I will reverse on you all the switness and the tastiness of this land with tasty and consistent food because when you work in the woods for timber or in the mines for gold or salt you have to eas a consistent food and to drink something strong because in the winter time the temperature goes to – 15 degrees below zero. Because you will go there mostly in the summer time you will enjoy the entire beauty of the land, of the nature, food, drinks and traditions.